Hi Girls! 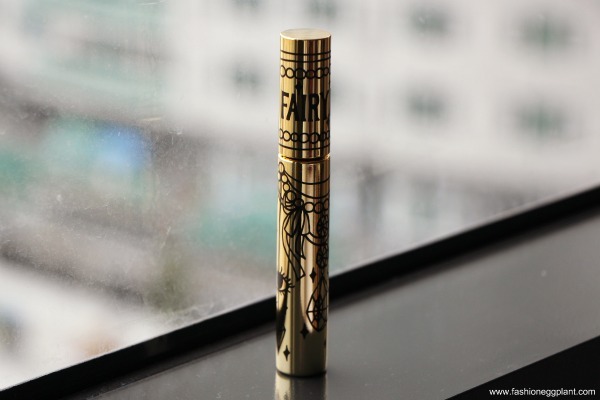 Back with another make up review, this time for Fairydrops latest mascara, the Platinum T2 Film Type which replaces the old Platinum Mascara (the one in a silver-ish-pink package). 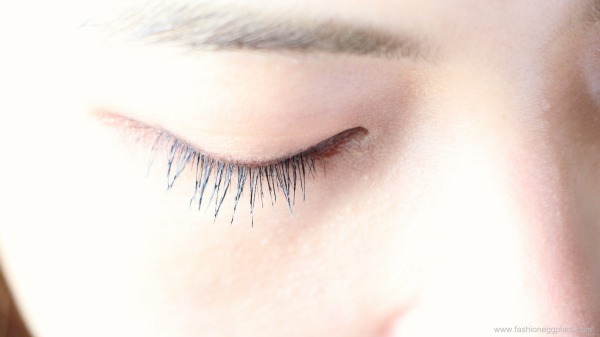 According to some, prolonged use of this product also promotes eyelash growth. I've been using Revitalash, Fairydrops and K-Palette's mascara for about a year now and my lashes have seriously doubled in length. It didn't happen overnight but after awhile, the results were definitely noticeable. My lashes used to be so short that even professional make up artists had a difficult time curling them. They just weren't long enough for a regular curlash. I'm not saying that using this alone will do the job but I'm pretty sure it helped in the progress. Fairydrops Mascaras have a uniquely shaped "3-teardrop" wand that has the ability to reach even your cornermost lashes with ease. The three ball shape also works wonders in naturally curling it for doll-like lashes. What I love most about this new formula is how thin and easy it is to apply. 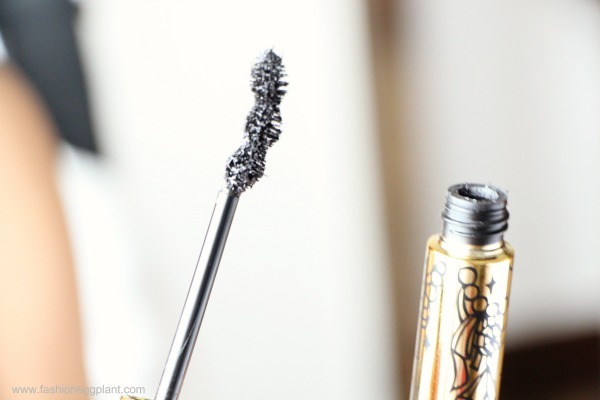 It is super smooth and never comes out clumpy. 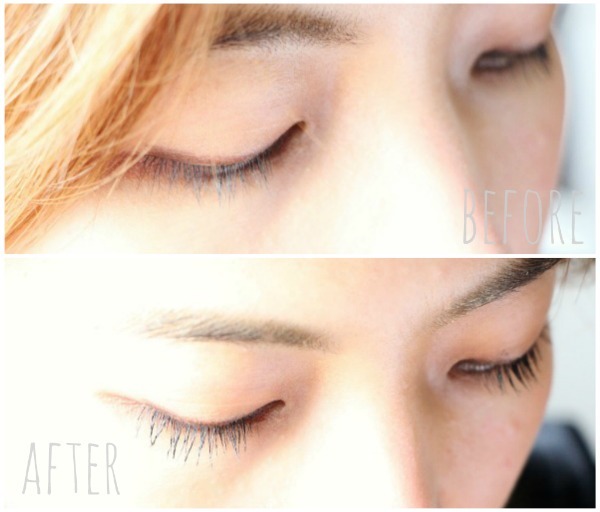 Lashes definitely double in length after a couple of applications while having the ability to still look natural. Photo above was taken right after so mascara is still fresh and a bit wet. And here, a before and after photo. First with natural lashes and the second with two coats of Fairydrops Platinum Mascara T2. The difference is very noticeable, you can even create a more dramatic effect by applying more coats. Don't worry, it won't feel heavy at all. I'm just satisfied already with two.